She had four cargo holds, two forward and two aft of a central bridge house also including extensive passenger accommodations, as seen often is those days. She was equipped with a 3-cylinder triple expansion steam engine, capable of producing 447 HP and gave her a top speed of 10 knots. On 6th of July the Numidia left Liverpool carrying general cargo and had a crew of ninety-seven. There were no passengers. The next several days she had an uneventful journey, passing Gibraltar, down the Mediterranean Sea, through the Suez Canal and the ship finally cleared Sues on the 19th of July 1901 at 2:48. She made good progress and at 19:00 that evening she has the Shad Wan Island already two miles abeam. It was at this point the captain set a new course for a distance of 47 nautical miles and at 23:00 hours the course was altered towards the Brother islands. At 1:00 the lights of Big Brother island were signed off the port bow. The captain instructed the helmsman to alter course accordingly and checked if his order was understood. The captain finally retired to his cabin, leaving instructions to wake him up when the lights of Big Brother was abeam. At 2.10 the captain was awoken by the impact of the Numidia running on to the rocks of Big Brother. Hurrying to the bridge he found his ship hard aground less than 150 meters from the lighthouse. The engines were already full astern and stayed that for more than two hours. Then the captain had to admit that the Numidia was stuck on the rocks and they were stopped. By this time the ship was taking on water. As a precaution, all lifeboats were swung out and preparations were made to abandon ship. 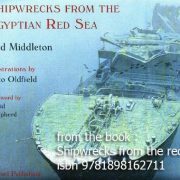 At 7:40 the SS Rhipens came into sight and was used to send dispatches Suez for urgent assistance. After she left, a large number of the crew were set ashore and a form of communication was made between the shore and the ship. Other vessels arrived and every effort was made to refloat the Numidia. without any success. Eventually accepting the ship was lost, the captain allowed the crew to be rescued by the ships although he remained on the island for a further seven weeks to supervise the rescue of the greater portion of the cargo. At a later date the Numidia broke in two just at the point immediately in front of the bridge with everything aft of that break sinking onto the reef. Normally you will be dropped by zodiac or you have visited the Numidia and drift alongside the reef. The broken bow (scattered) you will find at around 8 meters. 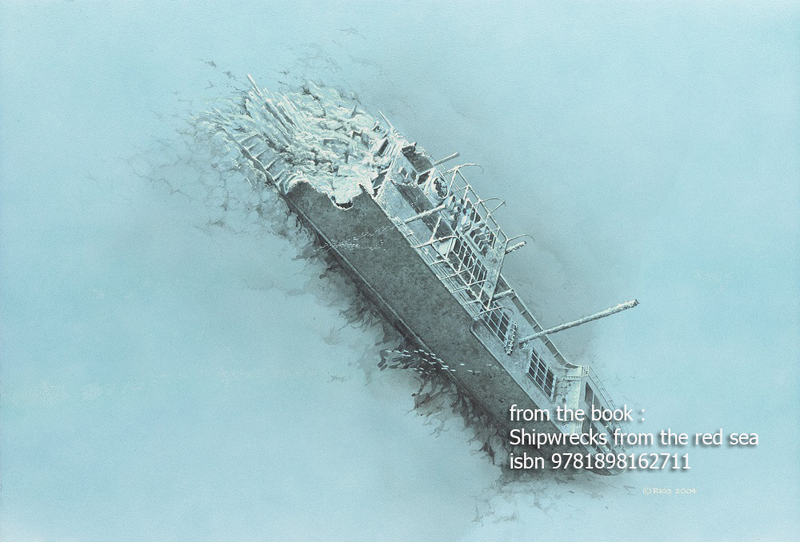 The wreck itself is down the reef at an almost vertical position, down to around 80 meters. Even at depths of 60 meters you can still find corals. Of course, due to the location of the wreck and the depth, you can expect the ‘big fish’ here. Of course, groupers, tuna and the like but also various types of shark and other pelagic are very likely to see, especially in the morning. What is striking to see is the similarity with the Aida. Same build and sometimes people mistakenly thing those two wrecks are in fact he same broken in two. At around 12 meters, the end of what is still recognizable as a ship, you can find the first of two pairs of railway engine wheels with offset angles. These were carried as deck cargo and destined for India. The other pair is now partly hidden in the reef at about 8 meters is the near distance. Only go deep if you have the proper training and equipment! You don not want to have the bends in this remote part of the red sea. Better is to go in the early morning, find a good spot on the reef at around 10-12 meters and wait for the sharks swirling around hunting. A true magnificent view! Due to the depth and being so far offshore, you can expect to see the big boys hanging out: large groupers and early in the morning sharks and the like.